Professional and good maintenance of laser beam path system on laser die cutting machine is very critical to ensure die plate cutting quality and extend the machine’s lifespan. In this article, we are going to discuss how to maintain the laser beam path system on laser die cutting machine. 1. Laser reflector mirror on laser die cutting machine. After long time using the laser die cutting machine, the reflector mirror on laser die cutting machine will be polluted by the smoke dust which is caused by the laser burning process. 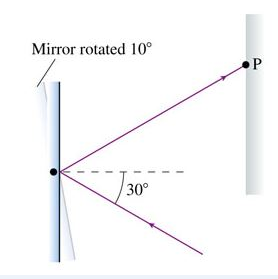 This problem will lower the laser beam reflection and have a bad influence on laser beam’s output. So regular mirror cleaning and inspection are necessary on laser die cutting machine. absolute ethyl alcohol or professional cleaning solution can be applied by cotton on the mirror surface to make it clean. Be careful not to use sharp stuff to scratch the surface. 2. Focus lens on laser die cutting machine. The bottom surface of focus lens might be also polluted by dense smoke and toxic gas on laser die cutting machine. When processing die board on the laser die cutting machine, you must pay attention on dense smoke evacuation and blowing protection. You can take below measurements to protect the focus lens if it is badly polluted. Firstly you need to take off the blowing tube, and protection device of the focus lens. Then using blowing balloon to get rid of the dust on the focus lens. Grab the cotton with tweezers and clean the lens surface with absolute ethyl alcohol or professional cleaning solution. You need to clean it from inside to outside and remember to replace new cotton every time until the lens on laser die cutting machine is clean.